Text and images ©Ben Boswell. Site designed and coded by Simon Shuel. 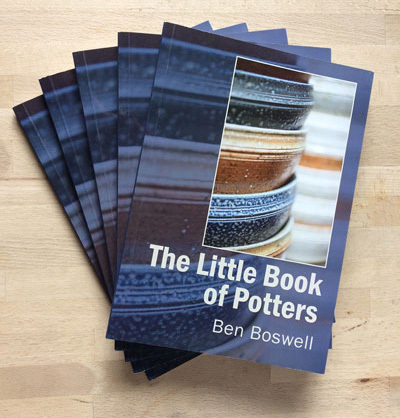 Right from the very beginning of my photographing potters my intention was to produce a book, well this isn’t the book I had in mind, this is a taster that I have produced so that I have something to show people what I am doing and to gauge reaction. 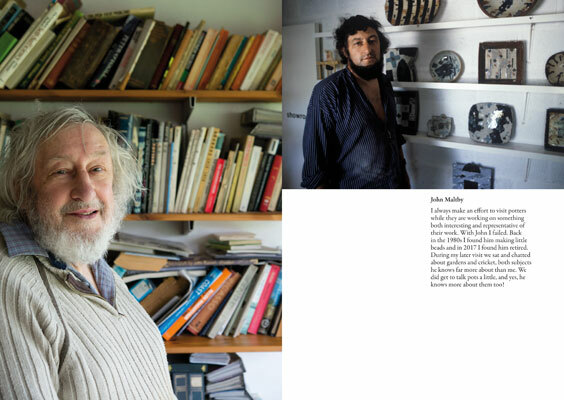 The Little Book of Potters has pictures of a few of the people I have photographed since the early 1980s. I had it printed so that I would have something tangible to show people when I gave a talk at the International Ceramics Festival 2017. If you would like to buy a copy please use the link below. The price including delivery in the UK is £10, elsewhere in the world the price will be calculated at checkout. Since my website is not an e-commerce website I have arranged sales through my wife’s site: www.lauraboswell.co.uk. The link will take you straight to checkout for the book, but while you are there do have a look at her wonderful linocut and Japanese Woodblock prints.